I’ve loved the Audi A7 ever since the German automaker introduced it in 2010. And yes, I like the Mercedes CLS, too. There’s something special about a sleek, coupe-like design applied to a four-door sedan. It looks both sporty and professional at the same time. I do not, however, like calling them four-door coupes. That’s just silly. As with most Audi products, there are S and RS versions that turn the otherwise svelte luxury car into a performance monster with supercar-like horsepower. So, yes, I am excited for the new Audi RS7, and the latest up close spy photos make the sedan look amazing. Have you seen the previous spy photos? While spy photos of the RS7 aren’t new, these photos get close to the new car. However, the car is covered in camouflage, which makes discerning design cues difficult. What we do know is that it’ll look like the all-new A7 introduced last year with plenty of aggressive performance bits added. The RS7 receives larger intakes, noticeable aerodynamic bits, standard LED headlights, and a black honeycomb mesh insert for the front grille. The RS7’s fenders will be flared, too, which will house the wheels measuring 20 to 21 inches in diameter. Under the hood is a rumored all-new twin-turbocharged 4.0-liter V8 engine. Rumors suggest Bentley will use the mill in the Continental GT. Horsepower could be as high as 650 horsepower, which topples the current RS7’s 560 hp in standard trim and 605 hp with the Performance package. The current 605 hp allows the current RS7 to hit 62 miles per hour in just 3.6 seconds. An extra 45 hp should lower that. 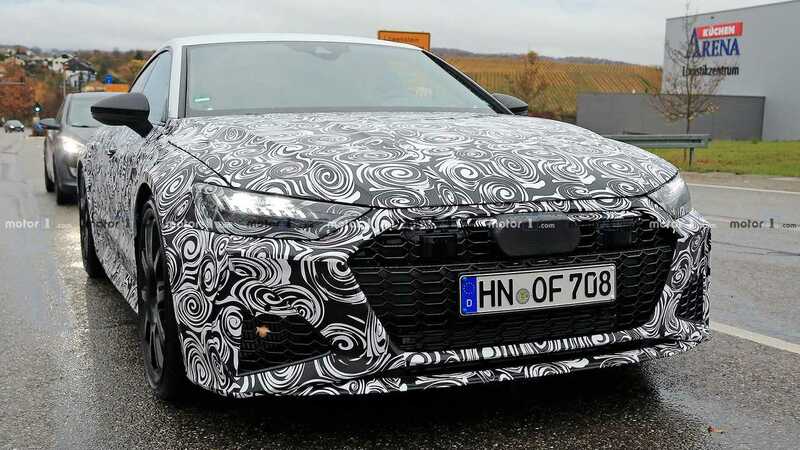 There are also rumors the RS7 could get a hybrid powertrain, possibly for the Performance package or even an e-Tron version. It would pull technology form the Porsche Panamera Turbo S E-Hybrid, raising output to 700 horsepower. The engine will produce 550 of that horsepower while an electric motor supplies the additional 150 hp. That sounds like a winner in our book. Expect the RS7 to come with Audi’s Quattro all-wheel drive and an eight-speed S-Tronic automatic gearbox as both standard features. 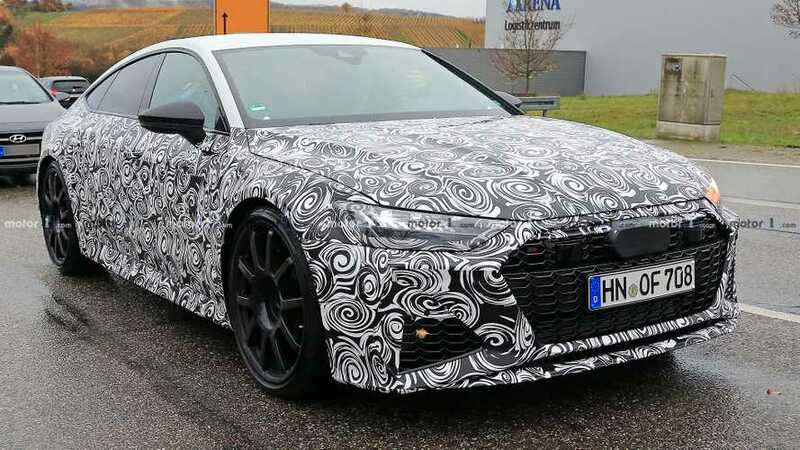 The all-new Audi RS7 Sportback should get a reveal early next year – possibly at the Geneva Motor Show – before going on sale before the end of 2019.